CONGRATULATIONS to Ms. Jomelyn Resonabale of Candon City Ilocos Sur . 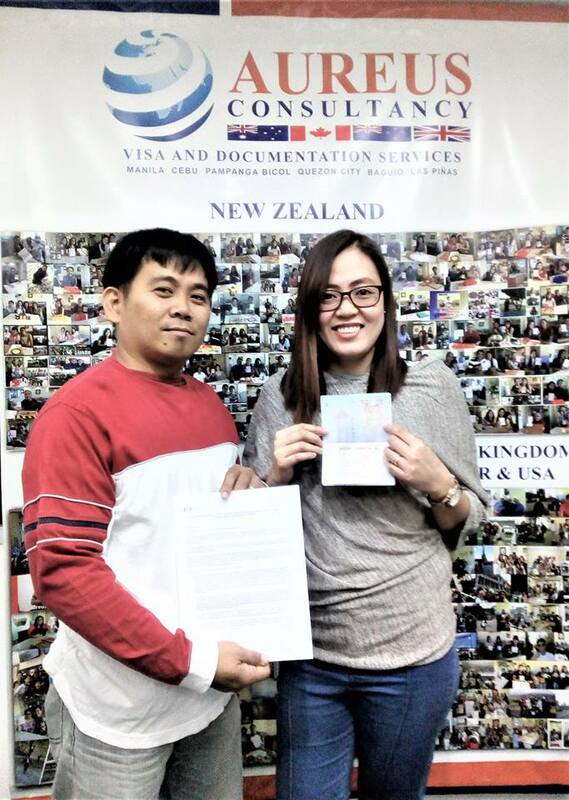 “I came to know about Aureus when I saw a post in facebook regarding one of their client being able to go to Canada by securing a student visa. I got interested so i started to search about the consultancy. Together with my husband we decided to go Baguio to personally inquire. And there we first met Maam Emma of Aureus Baguio. She was very accommodating and very patient in answering all the questions we have. She honestly explained the advantages and disadvantages of the pathway that we are interested at. At that very moment I was convinced that securing a student visa is the best option for me to be able to go to Canada. During the past months Aureus have assisted me from gathering all the needed documents to start my visa application, securing my letter of acceptance from Niagara College, opening an account to Scotia Bank in Canada, securing an appointment for my biometrics, up to the lodging of my visa application last January 15, 2019. And on January 24, 2019 I received an sms from VFS that my processed decision envelope has been dispatched from the IRRS office. It took only 10 days for my visa to be approved which according to Maam Emma is record breaking.